hi, where can we get the information about the race? 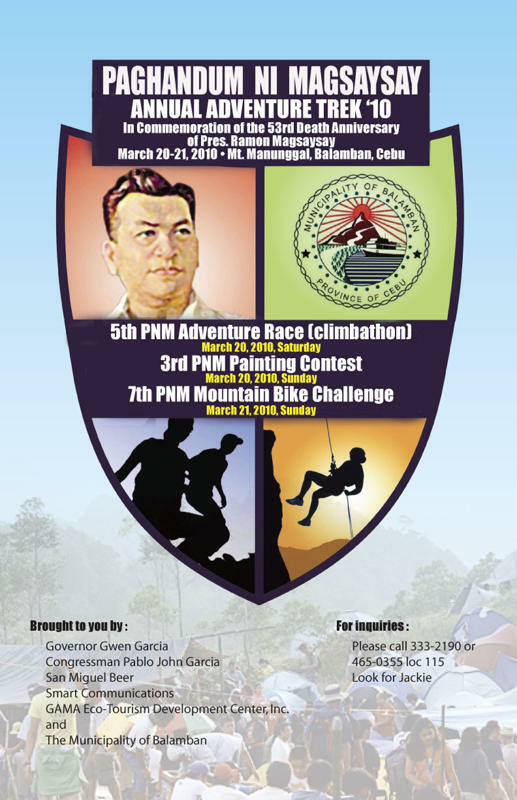 Sir we are the NihongoWorld Adventurers group and we will surely join the climbathon. We would like to request if it is possible that another dump truck will leave at 7 a.m to accomodate our group and others that can not make it at 5 a.m. sharp at JY Square? In our group alone … we are 25 already. Hoping for your kind consideration. wew!mt. manunggal once a beautiful scenery,bt now?damn!its been destroyed by politicos COMMERCIALIZATION (ilahang ge bulabog ang kina-iyahan).sooner or later we can no longer enjoy manunggal.peace!